The aim of the Hungarian Tastes Trade Association is to make the Hungarian gastronomic culture internationally known by supporting Hungarian quality foods. This prize is a certification of the excellent quality and the innovative spirituality. This is a prestigious professional annual award of the International Taste & Quality Institute (iTQi), a leading independent Chef- and Sommelier- based organisation dedicated to testing and promoting superior tasting food and drink from around the world. Judges are selected from Michelin starred chefs and leading European sommeliers who test the products on a strictly blind sensory analysis. 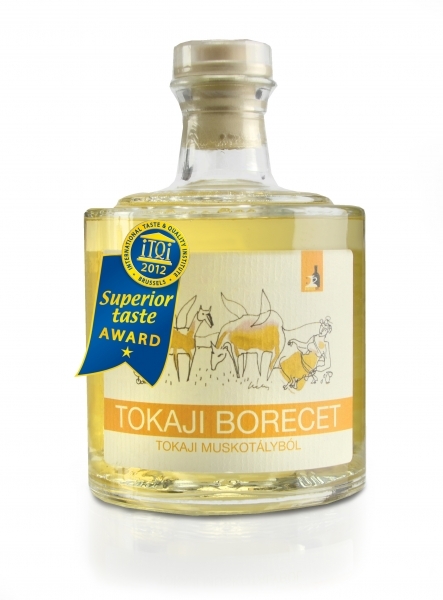 In 2012 the Tokaji Wine Vinegar from Muscat wine was the only Hungarian product to attain the high standards set by these leading professionals. The Hungarian design centre WAMP competition is only for artisan products of outstanding quality. WAMP awarded our Blueberry Balsamic Vinegar for its premium quality along with its unique, innovative, powerful design. Our blueberry balsamic vinegar fulfilled the double criteria, impressing the jury with its exciting purple colour and fitting unique label. We can be rightly proud of this recognition.